Gateway NV77H23u laptop is based on Intel Core i5-2450M dual-core processor. 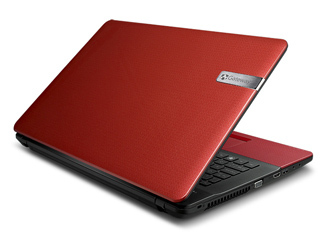 The 17.3-inch display has WSXGA resolution, 16:9 aspect ratio, and LED backlight technology. Gateway NV77H23u is equipped with 6 GB DDR3 SDRAM, 750 GB Serial ATA 5400 rpm hard disk drive, optical drive, Gigabit Ethernet LAN, 802.11 a/g/n WLAN, card reader, two USB 2.0 ports, Network (RJ-45), VGA, webcam, and 6-cell Lithium Ion (Li-Ion) 4400 mAh battery.